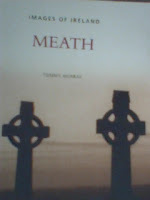 Congratulations to Tommy Murray on the publication of his new book " Images of Meath ". The book features over one hundred old and rare photos of people and places of interest in the county. Anyone with a sense of history will be pleasantly surprised with the book. It will be stocked in Eason's Navan; Antonia's Bookstore Trim and The Post Office Trim.